Reviewer/Writer based in Melbourne. Keen interest in theatre, cabaret, circus, dance and any other form of performing arts. Also a film, TV, fashion and art enthusiast. Currently studying a Master of Arts and Cultural Management. Lived in Kyoto (04-06) and London (08-10). Enjoy a good boardgame session with a nice glass of gin. 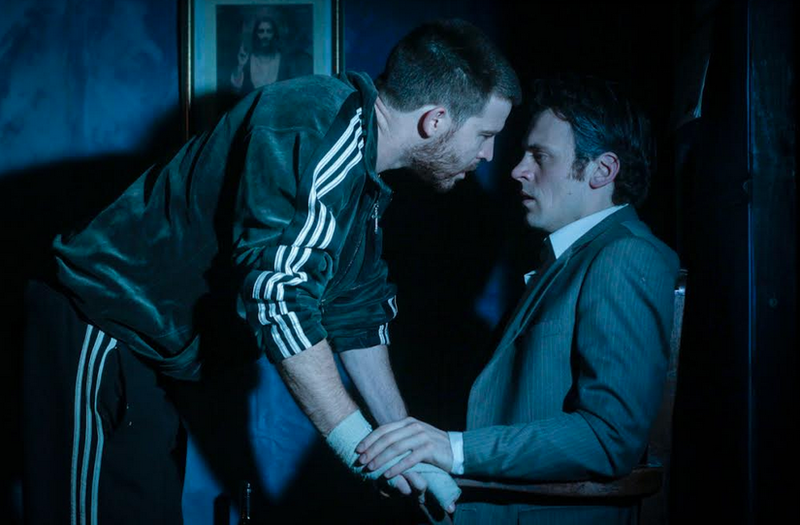 The effects of grief and guilt are hauntingly explored in Q44 Theatre's latest production of Conor McPherson's Shining City. Set in Dublin, the story revolves around a therapist and his patient, each with his own set of demons to face, and it's another example of the exemplary work on which this theatre company is building its reputation. Anthony Scundi is exceptional as Ian, an ex-priest struggling with his loss of faith who has just opened up a therapy clinic. While initially coming across as someone who has his life in order, the ensuing scenes paint a picture of a man who is gradually unraveling. Scundi is well-paired with Sebastian Gunner as John, his new patient and the rapport they share feels genuine. Gunner nails a lengthy monologue that requires him to find the right balance of a range of emotions as he recount the events leading up to the death of his wife. Madeline Claire French as Ian's wife Neasa, and Nick Cain as Laurence, deliver some strong work in their short but pivotal scenes in Shining City. The chemistry shared by Cain and Scundi in their scene is palpable, and Gabriella Rose-Carter's intimate direction clearly conveys Ian's confusion and helplessness. The results in the most engrossing and intense scene of the play, and keeps the audience guessing as to what is going to happen next and how the events are going to play out. Rose-Carter once again creates engaging and captivating work from her actors, allowing them to embody the character and the interludes she instigates between the scenes are well-executed. There is no sense of time or being rushed during the show and Rose-Carter allows things to linger, so that wen can interpret them as we like. The scenic design by Casey-Scott Corless and construction by John Byrne functions as a great metaphor on our attempts to keep our true thoughts and feelings buried and exposes a duality in our attempts to present ourselves as someone we feel we ought to be. This is supported by the subtle yet effective lighting design by John Collopy that really pushes the claustrophobia in the play. Shining City is not just a play about John and Ian, but also Neasa and Laurence, and even then it's about something bigger. It's about people who are confused and have lost their way, and doing whatever it is they can to do better - to be better. While set in Dublin, this could easily be any one of us in these characters' shoes. It's a reflective and thought-inducing show on people's struggle to find meaning and connection in the world they live in. Reviewer/Writer based in Melbourne. Keen interest in theatre, cabaret, circus, dance and any other form of performing arts. Also a fashion, film, TV and art enthusiast.